1/15 E-Newsletter: LA Rep at Nat'l Rally; Local Marches Coming Up; Celebrate 50 Years, Stay Woke, Geaux Forth, and More! I am getting ready to head to Washington, D.C. tomorrow for the National March for Life and our other activities surrounding it. I am excited that Louisiana's own Rep. Katrina Jackson will be speaking at the National March for Life Rally on Friday before the March for Life! Rep. Jackson is an inspirational voice for life, and we look forward to her sharing with the nation Louisiana's commitment to bi-partisan pro-life leadership! Follow our trip to D.C. on our Facebook , Instagram , and Twitter pages! 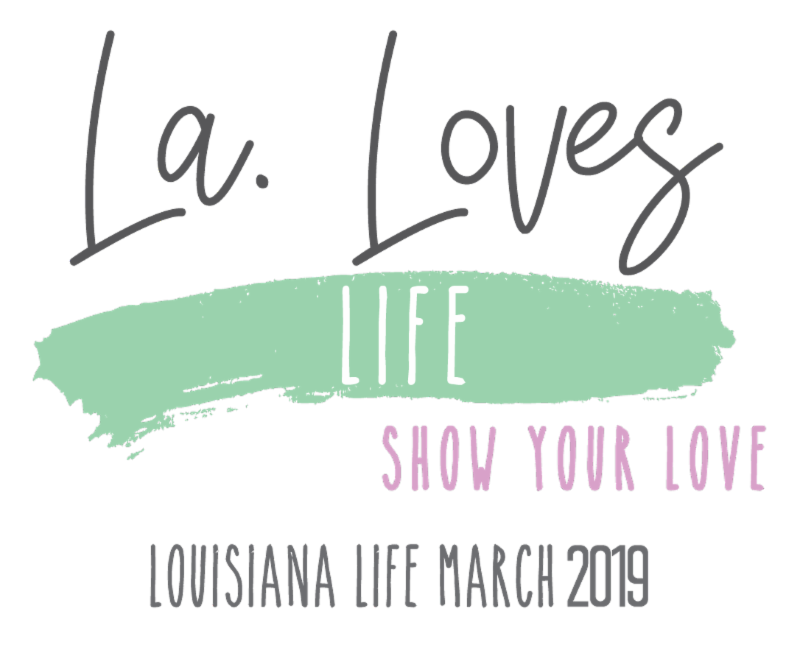 Starting a week from today in Lake Charles, we will begin our Louisiana Life March events to call for a greater protection of life. Our theme this year is "Louisiana Loves Life." In Louisiana, we are known for our abundant love of life, from our festivals, music, food, and more. Our commitment to the sacredness of every life should flow naturally from this way of life, not be something distinct. We are a people of life, standing for the lives of others at all stages, from womb to tomb! See you at a march near you! 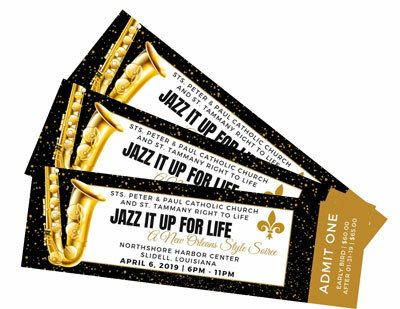 We are just one week away from the start of this year's five Louisiana Life March events! Dr. Alveda King, niece of Dr. Martin Luther King Jr., "Miss Kay" Robertson, the matriarch of the Robertson family from the show Duck Dynasty , local pastors and local and national political leaders will be among the speakers at the marches, to be held in Lake Charles, Baton Rouge, Shreveport-Bossier, Monroe-West Monroe, and Alexandria-Pineville. Please make plans to join thousands of other pro-life Louisiana residents and come out in support of life! Louisiana Right to Life and New Orleans Right to Life were founded in 1970, three years before abortion was legalized in America. 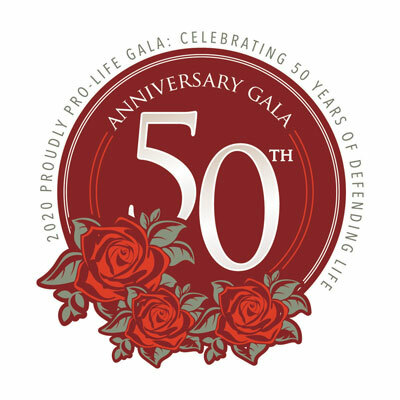 In 2020, we will commemorate 50 years of defending life and helping mothers across Louisiana, and to kickoff the yearlong celebration we will host the 2020 Proudly Pro-Life Gala on Jan. 18, 2020, in downtown New Orleans. Mark your calendars now and plan to attend this event! 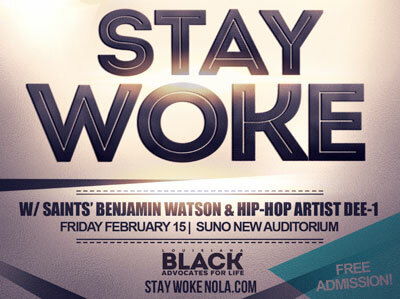 Louisiana Black Advocates for Life will host STAY WOKE on Friday, Feb. 15 at the SUNO Auditorium in New Orleans. This inspiring evening event will feature New Orleans Saint Benjamin Watson and national recording artist Dee-1. Families and church groups are urged to attend this free event! 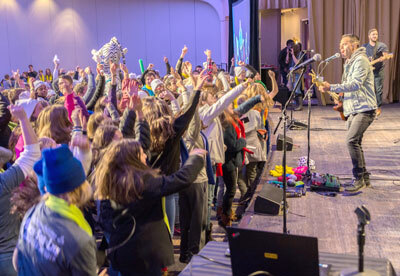 Louisiana is sending a large contingent of youth to Friday’s March for Life in Washington, D.C., and 1,300 of those young people from New Orleans, Baton Rouge, Acadiana, Houma-Thibodaux, and beyond will gather with Louisiana Right to Life Thursday morning for the 2019 Geaux Forth Rally. 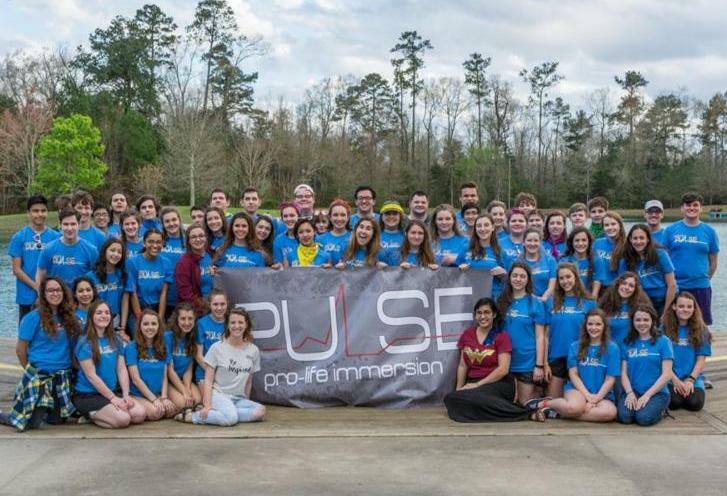 The first PULSE Weekend Immersion of the new year is a little more than a month away! The Southeast Louisiana event is set for Feb. 22-24 at Camp Istrouma near Baton Rouge. Students, don't miss this opportunity to grow in pro-life knowledge and persuasion skills, discuss effective activism, hear testimonies, meet other pro-life teens and more! 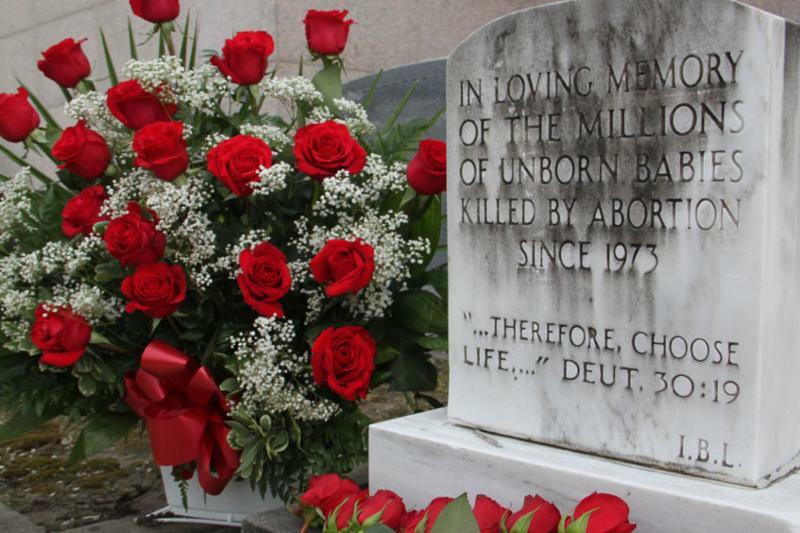 If you are in the New Orleans area next Tuesday, Jan. 22, on the solemn anniversary of the Roe v. Wade decision, join us at noon for the Memorial for the Unborn prayer service and blessing of the new All God's Baby's Tomb at the Holy Innocents Prayer Garden in St. Patrick Cemetery No. 1. 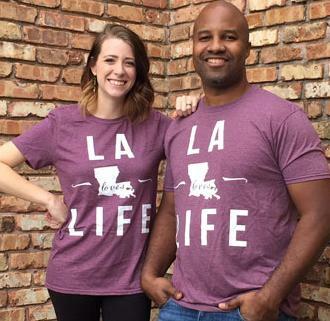 Have you ordered your 2019 Life March themed T-shirt yet? Get it now and you can wear it to the march nearest you. You can also wear this shirt all year long to show others your support for life! Shirts are $10 each; sizes small to XXL are available. Shirts will also be available at each life march while supplies last.